Much has changed with workplace culture in the year since the words “me” and “too” became an unforgettable hashtag and rallying cry for victims of sexual assault and harassment. “We certainly have moved into a new era,” said Tarana Burke, who started #MeToo over a decade before Alyssa Milano elevated the Harvey Weinstein conversation by inviting those who have been sexually harassed or assaulted to use the hashtag on social media last year. Since last October, McDonald’s workers walked out to protest workplace harassment. Powerful, famous men from CBS CEO Les Moonves to celebrity chef Mario Batali to The Today Show’s Matt Lauer continue to be purged from positions for alleged predatory behavior. Corporations have changed policies and laws aimed at training and awareness have been passed in California, New York and other states. The movement has also reverberated in other ways. In January, notable Hollywood celebrities launched Time’s Up, an organization whose Legal Defense Fund has raised over $22 million to assist victims of sexual harassment and assault, according to a USA Today article. The women and men who have come forward and shared their stories must be commended — not just because of their bravery, but because they are playing important roles in ushering in a new standard for workplace culture. But the movement has also received backlash from those who believe #MeToo has strayed from its original purpose and has gone too far. Some, like President Donald Trump, believe it is a difficult time to be a man in America because the movement is putting men at a greater risk of punishments. Critics of #MeToo contend the movement has painted lewd jokes with the same disciplinary brush as outright assault. A Pew Research Center poll conducted in February and March revealed that 51 percent of Americans believe the increased focus on sexual harassment and assault has made it more difficult for men to know how to interact with women at work. Concerns have also been voiced that women may have a harder time landing certain positions because some men in positions of power have claimed they are now afraid to hold one-on-one meetings with their female colleagues. 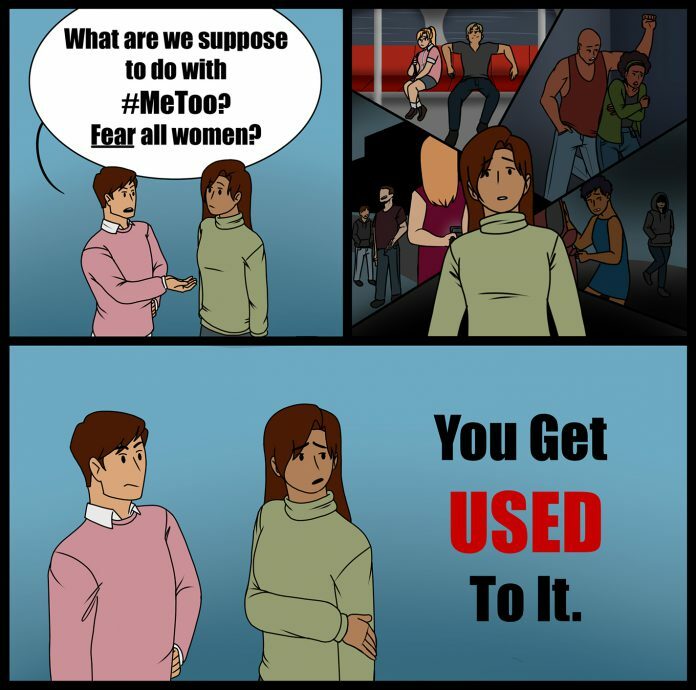 People have also complained that #MeToo has been “whitewashed” as women of color have criticized the movement for sidelining them, ignoring their stories and not adequately addressing their concerns, despite the fact that women of color and those who earn low wages are the most susceptible to sexual harassment. So, though much has happened this year, there is still a lot that needs to be done. As #MeToo moves into its next chapter, activists have said more attention must be paid to expanding reforms and implementing creative solutions, and more resources must be devoted to helping survivors. Issues at the top also have to be fixed. Still only about 20 percent of U.S. corporate board members are female. A company’s culture is set by its leaders, and women bring a unique perspective to how a company can modernize its policies. Having women in these positions will likely help companies recognize and address workplace cultural issues. It is important to keep in mind that real progress doesn’t happen overnight, but one year after the #MeToo movement exploded across news and social media feeds, we are starting to see early signs of change. So there is hope. But it’s on everyone to continue the momentum.